aung san suu kyi nukuu. "Please use your freedom to promote ours.". 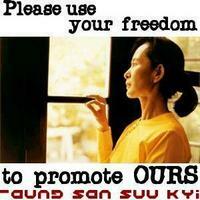 Images in the Human Rights club tagged: human rights human rights awareness month hram icons quotes aung san suu kyi.